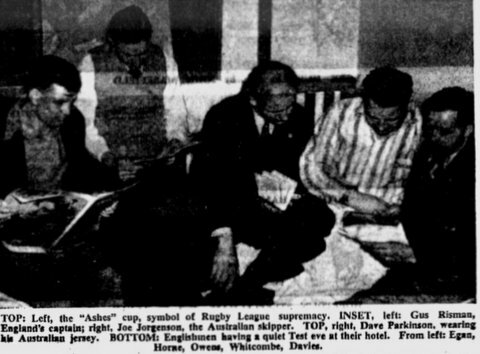 Australian Rugby League Historian Terry Williams. 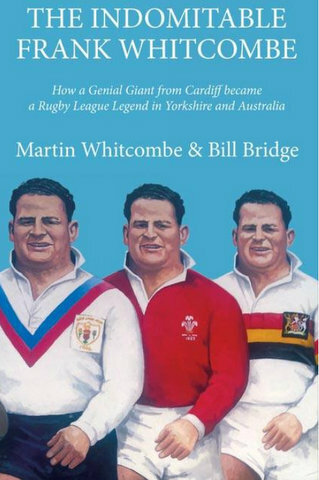 I have just written a book on my Grand Father, Frank Whitcombe, rugby league career who was a prop forward during the 1930s and 40s. He was a member of the successful Indomitable tour of Australia in 1946, in the book is probably the most comprehensive account of this tour published to date. Would you mind ‘sharing ‘ the enclosed face book link, maybe the book would be of interest to some Australian Rugby League supporters? 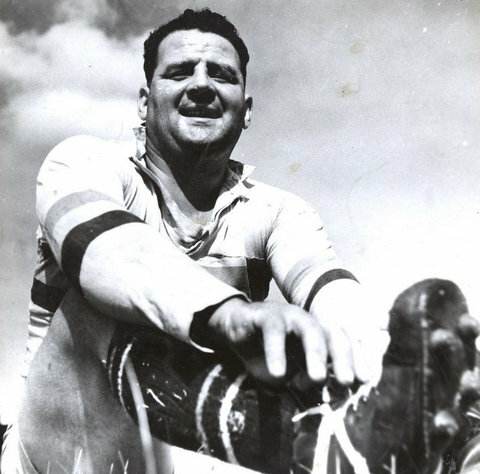 Frank Whitcombe, ‘one of the greatest Welsh rugby league forwards of all time’, played for Bradford Northern, Wales, and Great Britain. 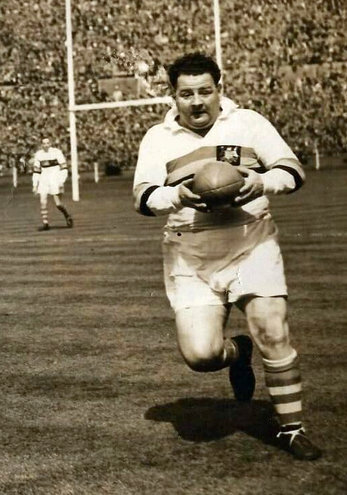 This is the incredible story of a RL legend from Cardiff, who enjoyed a glittering career, winning the Challenge Cup three times, the Championship three times, was capped 14 times by Wales and starred in the 1946 ‘Indomitables’ GB Tour of Australia. 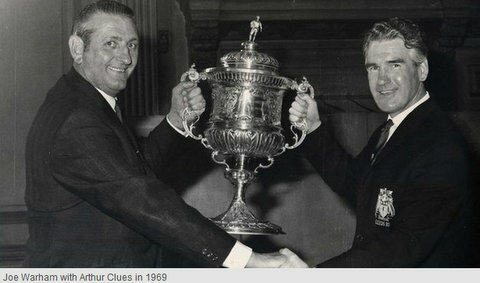 I believe Frank Whitcombe had a few interesting battles with our own Arthur Clues. 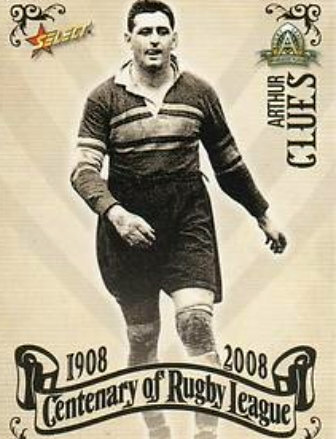 Arthur Clues playing for Wests before going to England to play with Leeds. Thats Arthur Clues on the left. Below is a Video clip of NSW playing against Great Britain @ the SCG 1946. Click on link to view. The Big Man on the run for Bradford Northern. 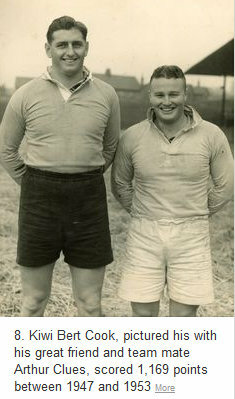 Frank toured Australia with the 1946 Lions. Frank and his team mates before the First test match in Sydney. 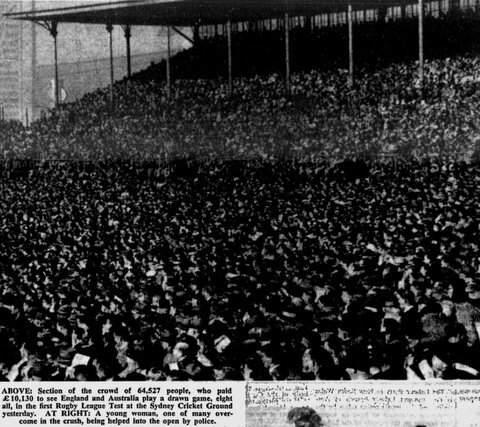 Part of the huge crowd of 64,527 @ the SCG. If you would like to purchase the book which covers the 1946 Lions Tour. Just click on the face book link below. 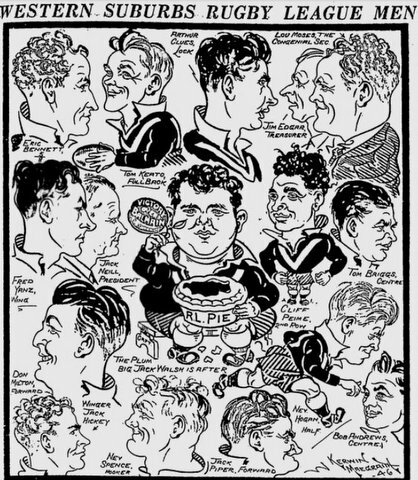 What Wests were up to in 1946.